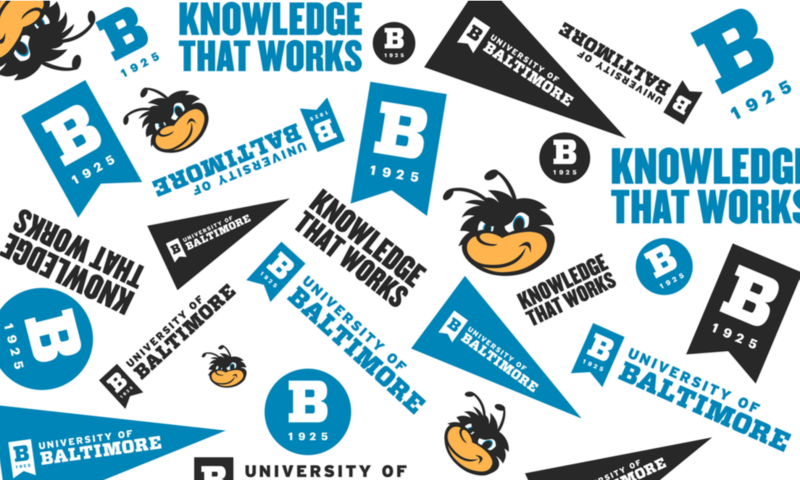 With a new creative platform, a re-designed logo and a reimagined strategic plan, the University of Baltimore looks to strengthen its position in the market and usher in a new era. The University of Baltimore is still the same institution at its core, delivering Knowledge That Works to the nontraditional student: the first-generation college-goer, the career changer, the adult learner. Since 1925, UB has supported students who are dedicated to making a difference and driven to succeed; these same students have gone on to become pillars of the legal community, innovative entrepreneurs, public policy leaders and influencers in the creative writing, design and technology communities. But while the heart of UB hasn’t changed, the marketplace has. Much like many other institutions, UB has struggled in recent years to differentiate itself among the competition and to confidently communicate its invaluable contributions to the city, state and region. And that’s where a new brand comes in. According to Victoria Reid, vice president of enrollment management and marketing at UB, “It’s important to take a step back every so often and take a hard look at how we’re communicating who we are, what we do and how we do it. This ensures we are accurately conveying how we serve our students, our communities and the value UB brings to the marketplace. “To remain known and competitive in the higher education market, we needed to tell our unique story and re-establish UB as the University of first choice for students who are committed to a college education and driven to succeed in a modern society,” Reid continued. With support from Kurt Schmoke, UB president, and Darlene Brannigan Smith, B.S. ’78, MBA ’80, executive vice president and provost, Reid assembled a core brand team of faculty, staff and students from across the University. Reid also brought on Ologie, a Columbus, Ohio-based branding firm known for its work with other institutions such as Oregon State University, West Virginia University, Northwestern University and the University of Arizona. Together, the core brand team and Ologie led and executed an in-depth qualitative and quantitative analysis of the perception of the UB brand and, based on the resulting data, rebuilt the UB brand from the ground up. Through two online surveys, Ologie and the core brand team examined the results of more than 2,000 respondents from the internal community—current students, faculty, staff and alumni—and the external community, including prospective undergraduate and graduate students, high school counselors and community college advisers from Maryland and neighboring states, potential employers and friends of the University. The research, conducted over several months in fall 2017, uncovered three brand pillars that support UB’s core value proposition. This framework serves as a platform for crafting communications about the impact UB has in the community, for promoting the University’s world-class academic programs and faculty and for further solidifying UB’s place in the market. With these themes in mind, Ologie developed distinct creative platforms to help convey—verbally and visually—UB’s brand story. The firm presented two creative platforms and new logo options at meetings to gather feedback from the larger UB community. With this feedback, along with input from the Student Government Association and the staff and faculty senates, Ologie and the core brand team combined elements of both creative concepts to form the final platform that would become UB’s new brand and visual identity. “This [effort] isn’t about us bringing a brand to the community,” noted Paul Davis, executive creative director at Ologie. “It’s about rallying and helping cultivate the authentic story of this University. The process [of] developing this new expression was collaborative on purpose. It truly is a brand built by the UB community for the UB community. Together with the new strategic plan, the new brand will help UB: elevate UB’s academic reputation and perception attract more best-fit students, staff and faculty take ownership of UB’s urban location create a consistent message and story inspire support for UB’s future. Over the course of the next several months, the UB community will witness the brand activation phase including updated internal communication, environmental pieces and marketing and advertising. A brand ambassador program will give selected students, staff and faculty the tools and knowledge theyneed to help champion the new UB brand. As part of a comprehensive toolkit for the UB community, the University’s Office of Marketing and Creative Services is developing a new online web presence that includes guide- lines for implementing the brand. This information will be available shortly at www.ubalt.edu/brand. In addition, the Office ofMarketing and Creative Services is seeking sub- missions from the UB community of stories—standout students, alumni, programs, initiatives, etc.—that can help illustrate the new brand. Submit your ideas to marketing@ubalt.edu.